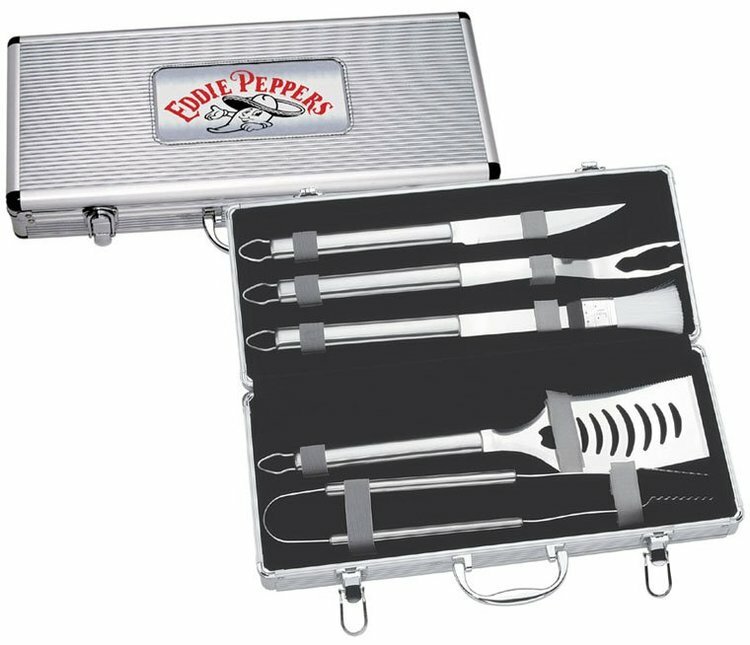 Three piece premium stainless steel BBQ set packaged in a gift box with a clear lid. 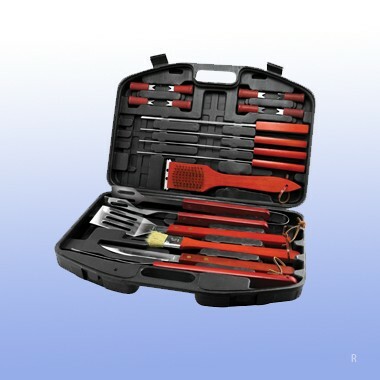 Contains 16" Turner, 16-1/2" fork & 16-1/2" tong. 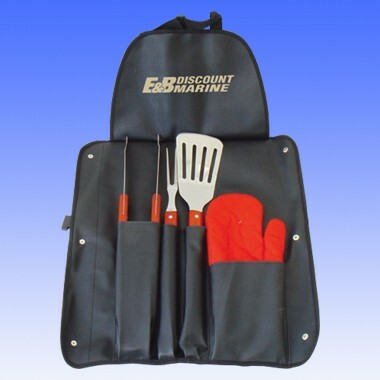 3-pc BBQ set features a spatula, fork, and tongs. 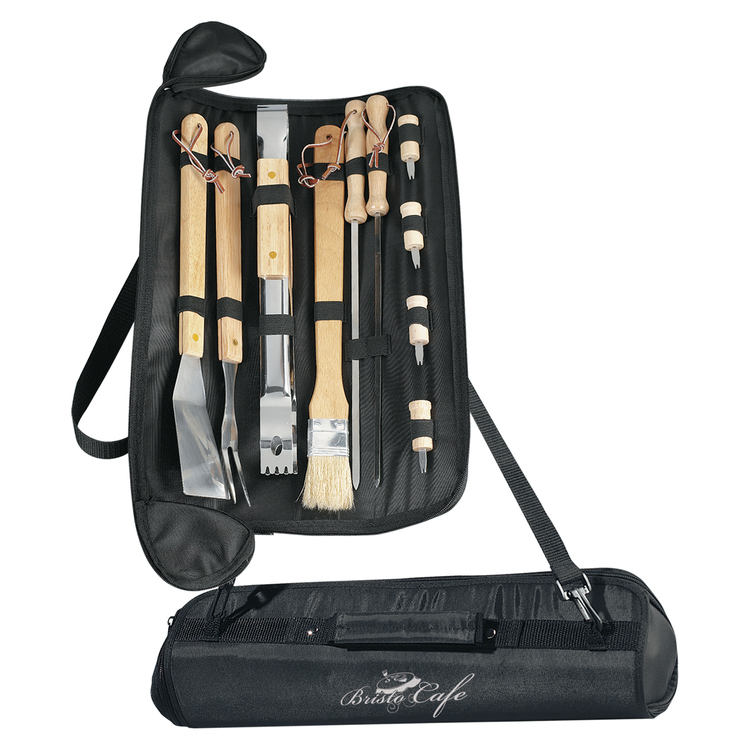 Made from professional grade steel with solid wood handles. Double riveted with leather hanging strap. 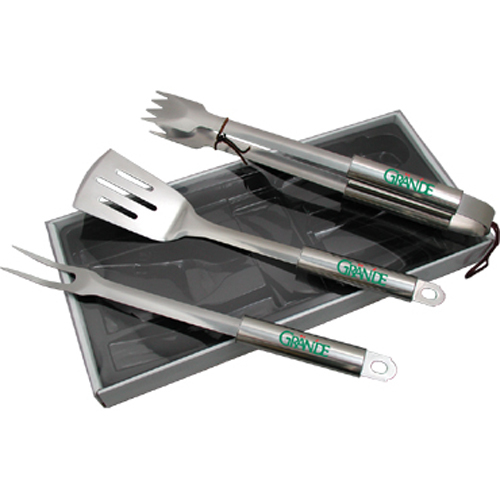 Grill Master three piece set includes the essentials for a successful barbecue. 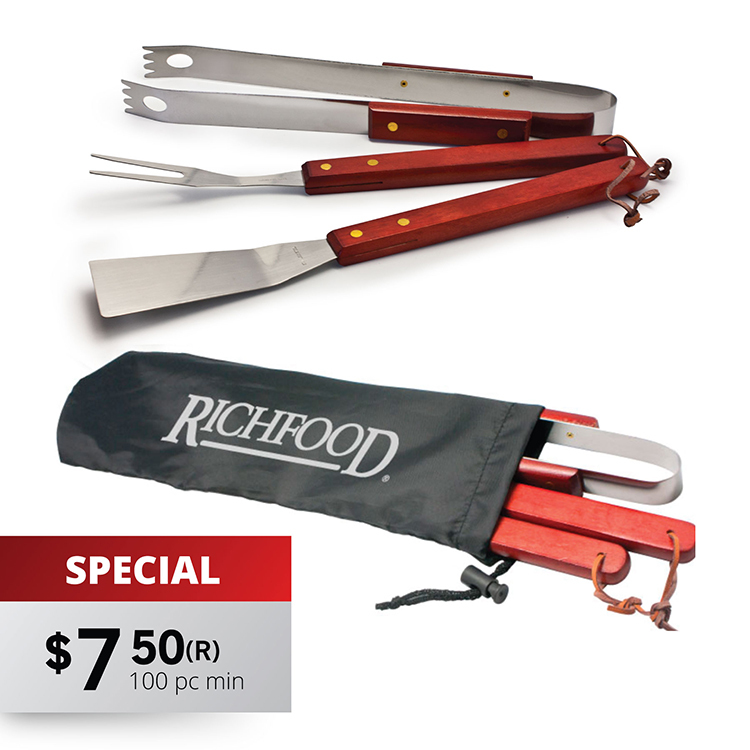 Steel tongs, BBQ fork and spatula are stored in a sturdy metal-trimmed case with handle and two-latch closure. 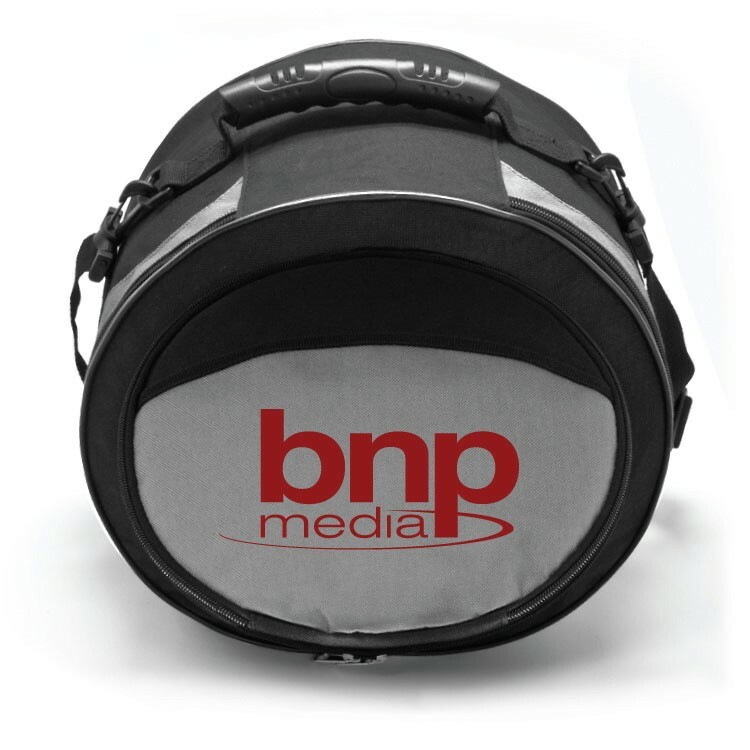 Unique design of this portable cooler tub makes this a great choice for your next event. Zippered top main compartment opens to a large cooler tub. Easy-access Velcro pocket on top. 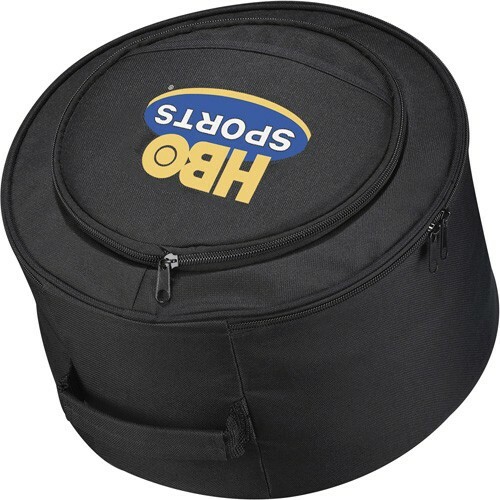 Tub fits snugly onto a sturdy steel frame and secures in place with Velcro. Side carry handles for easy lifting. Drain in bottom of tub. 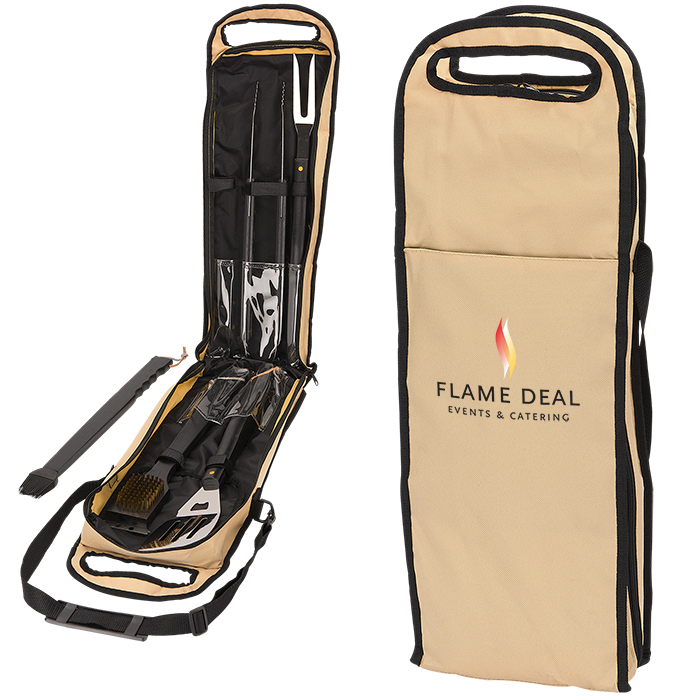 Folds to fit into a matching 210d polyester drawstring carrying case with shoulder strap. As part of Leed's exclusive Game Day Collection, this cooler is ideal for barbecues, tailgates, and other sporting and outdoor events. 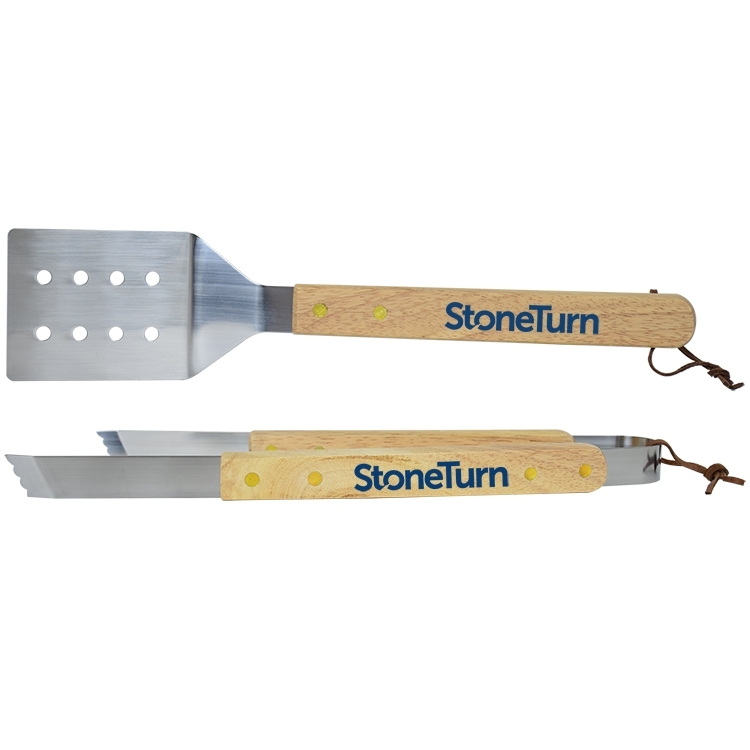 Handles are crafted from solid oak and cooking surfaces are coated with an easy-to-clean, non-stick finish. 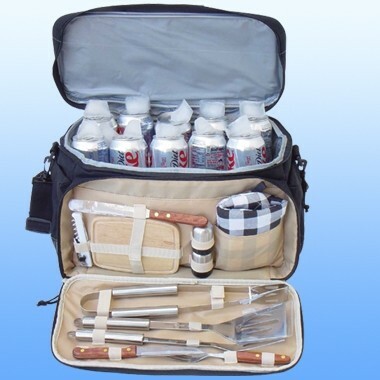 Includes tongs, fork & turner. 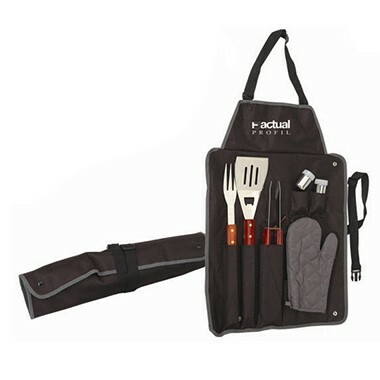 Comes with a durable, black nylon pouch to hold your kitchen tools, with a debossed leather patch. 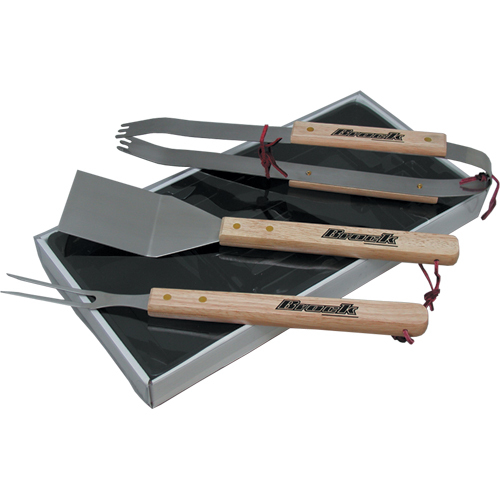 Three piece wood handle BBQ set packaged in a gift box with a clear lid. 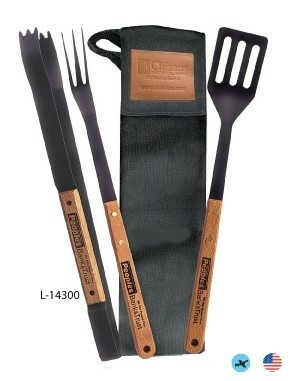 Contains 14 1/4" Turner, 15 3/4" fork & 15 3/4" tong. 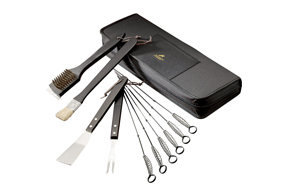 Set includes hi-grade stainless steel spatula, tongs, knife, long reach fork, basting brush & cleaning brush. Packaged in an aluminum case. 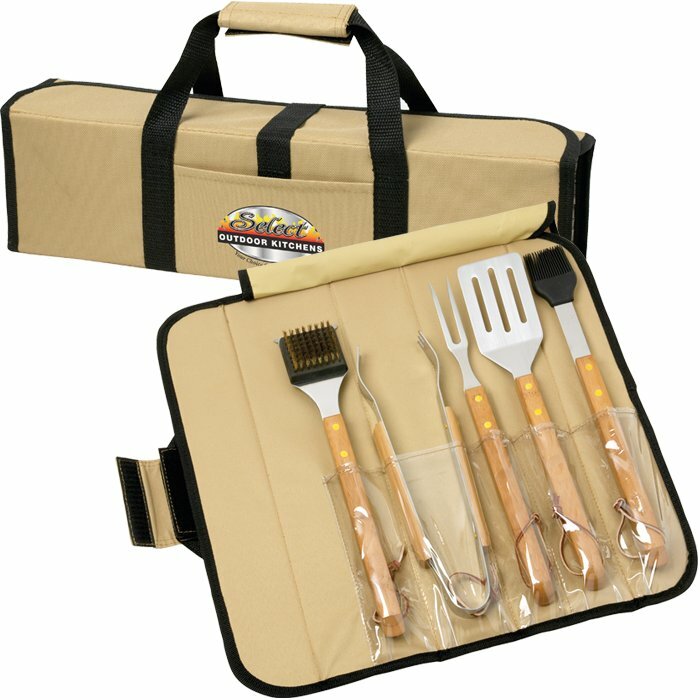 Eleven-piece BBQ set includes spatula, brush, fork, and cleaning brush (all with wooden handles), six skewers, and zippered carrying case. Two-in-one grill and cooler combination. 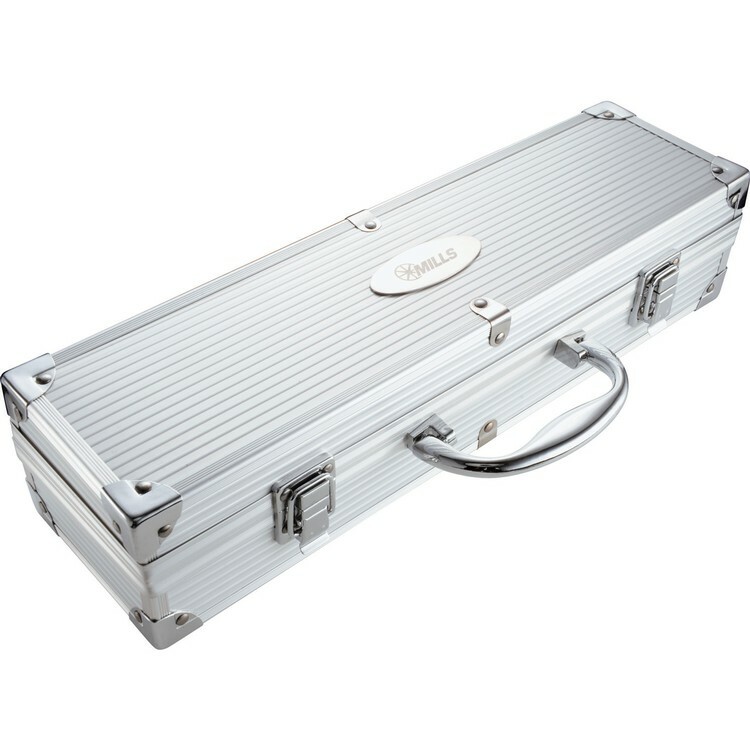 Durable 600D polyester case. 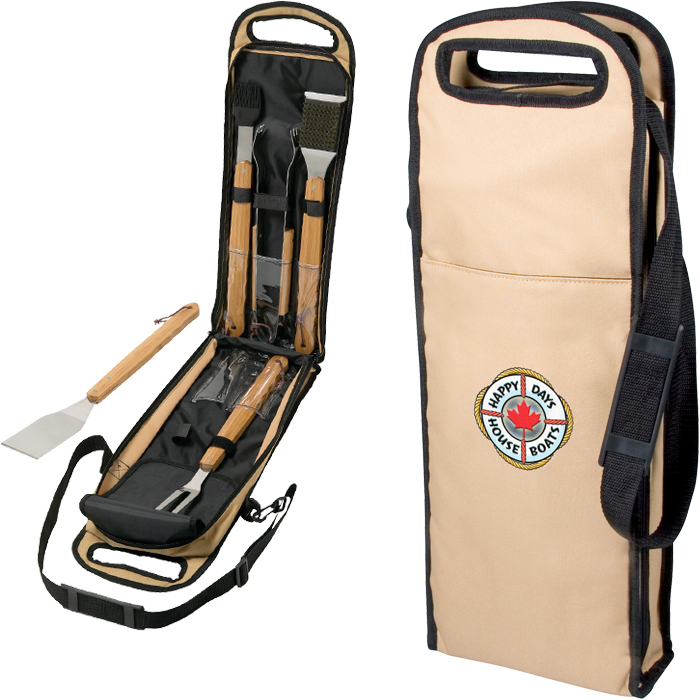 Rubberized handle and carrying strap. Portable, easy to store. 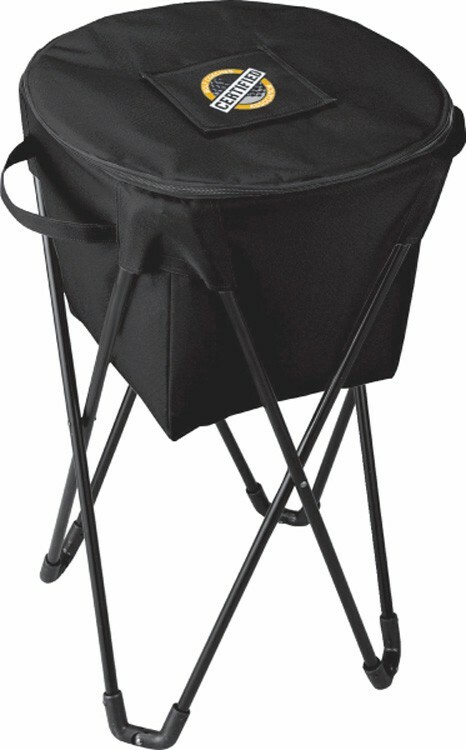 Great for the beach, tailgating, camping and parties. 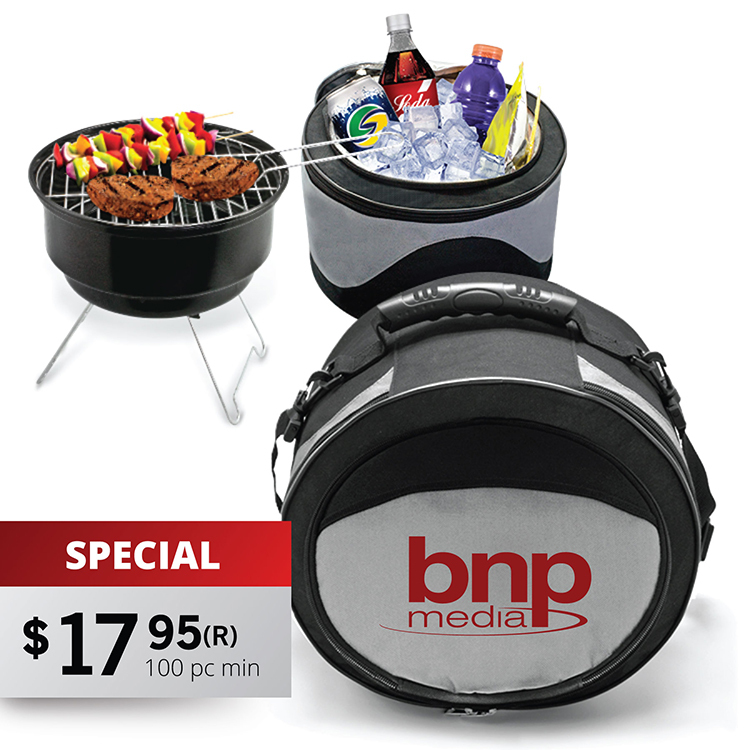 Grill Features: Enamel coated grill pit for durability and easy cleaning. Heavy duty steel construction.  Chrome plated cooking grill. Removable legs. Ash catcher. For use with charcoal or wood. Cooler Features: Heavy duty insulation. Zippered closure. Large capacity to hold a variety of food. Sewn inner edges. 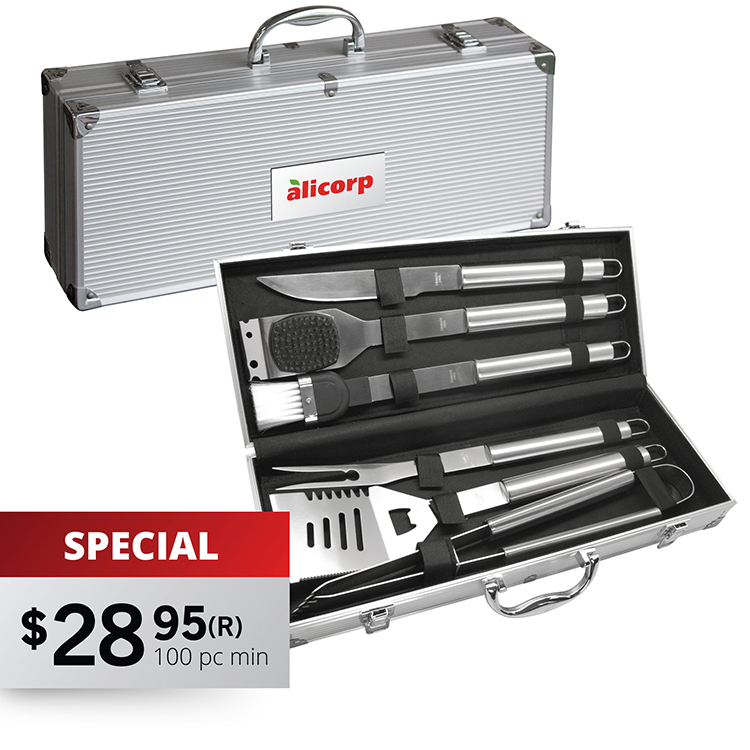 3 pc BBQ tool set in an aluminum case. All tools are made of stainless steel. 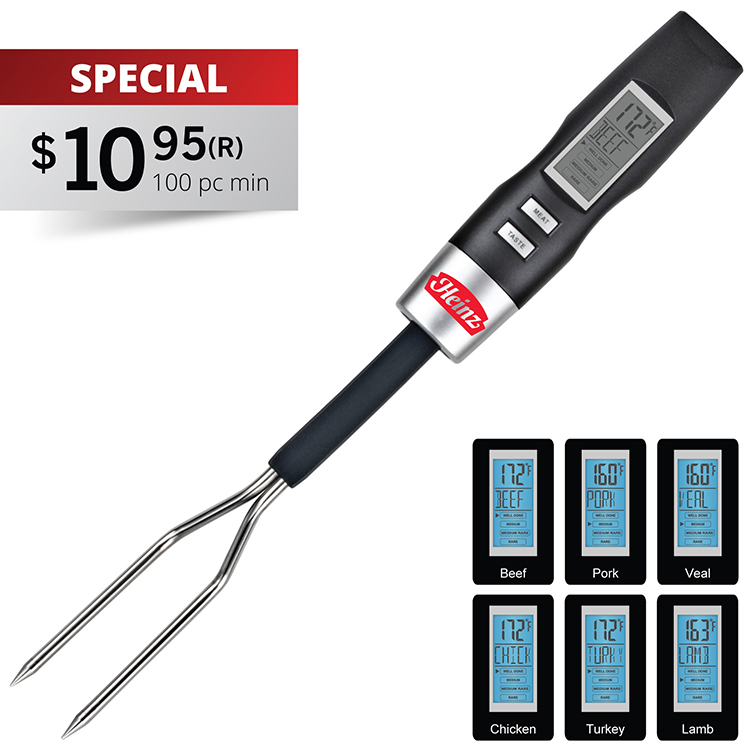 Digital electroluminescent LCD screen provides large, easy to read, and accurate temperature read-out for six different types of meat (lamb, veal, beef, pork, chicken, & turkey). Choose between well done, medium, medium-rare, and rare. 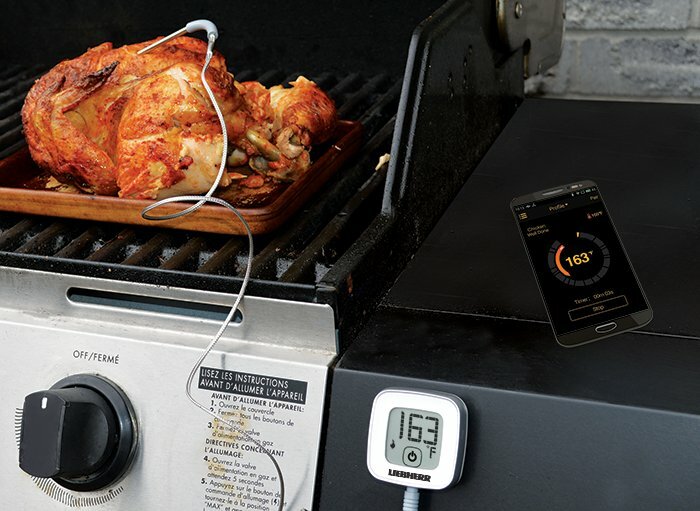 Built-in alarm notifies you when the meat is properly cooked. Uses 2 "AAA" batteries (included). 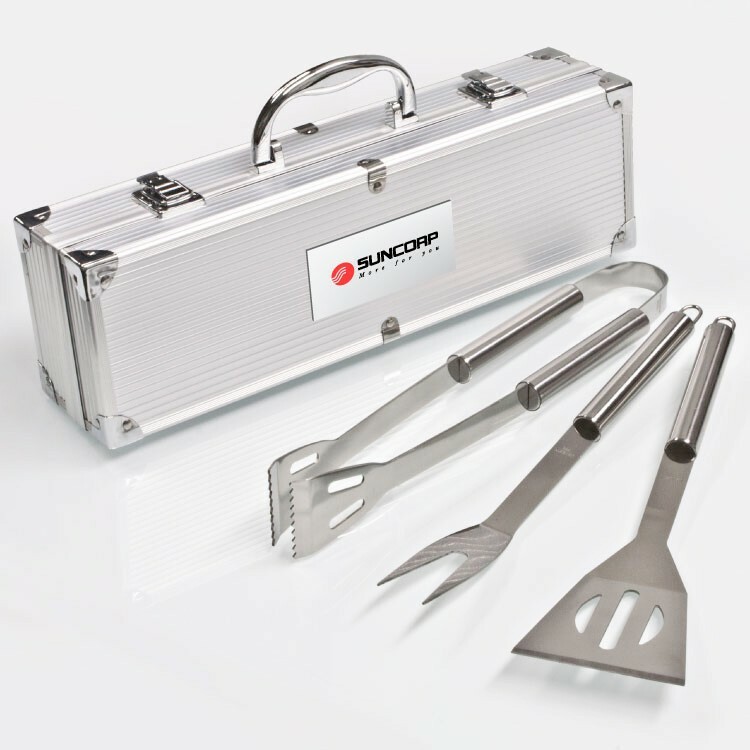 Portable grill features a 9" cooking surface that fits neatly in an insulated cooler. 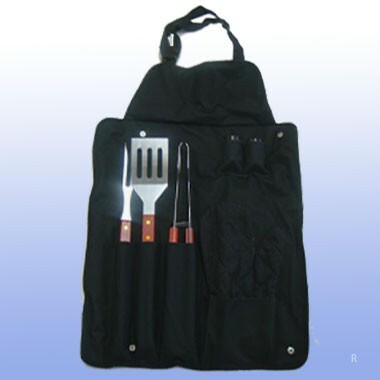 Adjustable shoulder strap makes transporting the grill and cooler perfect for picnics or the tailgate. 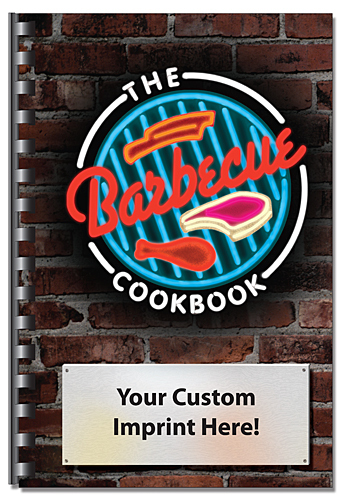 BBQ flavored spices, herbs, and a great hickory smoke flavor with chili pepper seasoning. Rub generously on both sides of your favorite beef, pork, or chicken. Cover and refrigerate 2 hours, then fire up the grill or smoker and enjoy the full flavor! Flavor Profile: Southern. Large imprint area plus wrap around for additional message, tag line, contact info, website, QR code. Many other spices, seasonings & dry rubs available. BBQ flavored spices, herbs, and a great hickory smoke flavor with chili pepper seasoning. Rub generously on both sides of your favorite beef, pork, or chicken. Cover and refrigerate 2 hours, then fire up the grill or smoker and enjoy the full flavor! Flavor Profile: Southern. 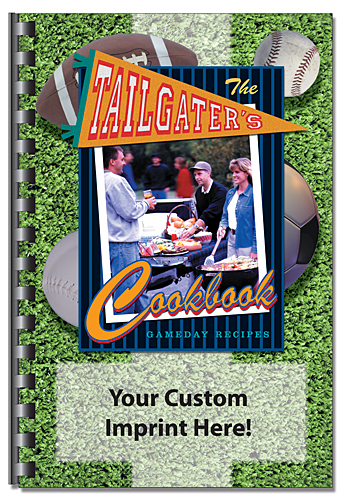 Large imprint area plus wrap around for additional message, tag line, contact info, website, QR code. Available in Three Pack Gift Set. Many other spices, seasonings & dry rubs available.